Packing a lunch for school can become a monotonous task and kids can quickly tire of typical lunch fare. And for parents who have picky eaters, figuring out what to send each day can be a real challenge. When kids help plan their lunches, they are much more likely to eat them. If your child’s school has a lunch program, review the menus together and pick the ones he or she enjoys. When kids eat school lunch, they are more likely to consume milk, meats, grains and vegetables, which gives them a higher nutrient intake over the course of an entire day. 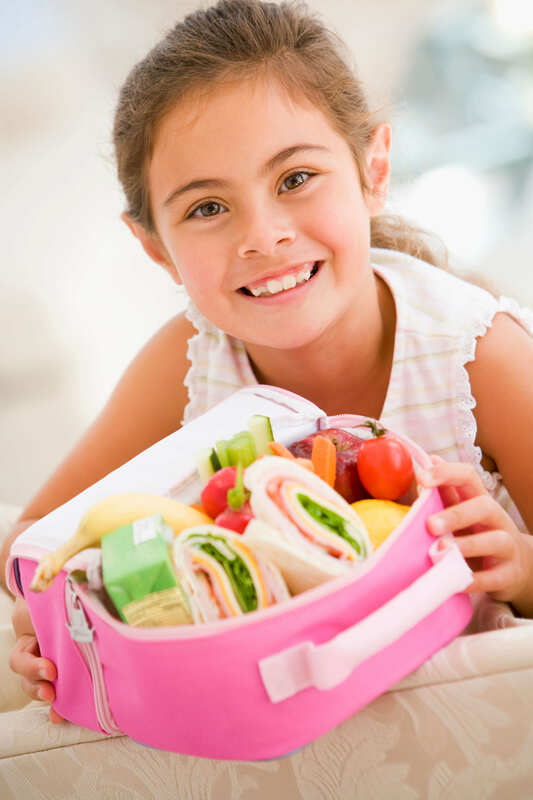 If your child is more likely to eat a lunch packed at home, create a system that works for both of you. Agree on what goes into every lunch: some protein, a whole grain, at least one fruit and veggie, a dairy product (if not buying milk at school) and an optional small sweet or snack item. Make a checklist or spreadsheet of what your child likes in each category and take time on the weekend to prepare and bag easy, ‘on-the-go’ meals for each day. Variety is the basis of well-balanced nutrition. But don’t worry if a child wants exactly the same lunch for two weeks in a row. He or she will probably change to something else before long. Work around normal pickiness by creating a list of alternatives. For example, if sandwiches are in the “don’t like” column, what else might work? You might consider wraps, cracker sandwiches, little salads with protein or bread-free sandwiches, like a slice of lunch meat wrapped around a cheese stick. Get creative. Kids, like adults, eat with their eyes first. They are attracted to foods by the packaging, so make sure the lunch you prepare for them looks attractive. Make foods as bright and colorful as possible. Have fun with shapes (use cookie cutters on sandwiches) and size (make mini-muffins). Choose a reusable lunch bag or box with favorite cartoon characters or colors.